During a late night studying, I started feeling hungry. I dug into my pockets, found some spare change and headed to the snack machine. Burgess had one, so I assumed Walther would as well. I wasn’t disappointed…until I tried to use said snack machine. The slot was jammed with coins. Okay, so I couldn’t use coins. No big deal. I fumbled a bit more and discovered a few hidden dollar bills. However, when I attempted to use those dollar bills, I made another discovery. The bill taker was also broken. I couldn’t believe it. Why have a snack machine if you can’t use it? I looked admiringly at the chips and candy, wanting nothing more than to satisfy my rumbling stomach. Then it dawned on me. Walther whales. The campus had put the dorm on a diet. The snack machine existed for the sole purpose of temptation. By looking at something you can’t have, hopefully you will be able to resist it when you can obtain it. Though the method seems plausible, the execution is faulty. One of my fellow Walther residents made the trek to the main building to buy snacks. 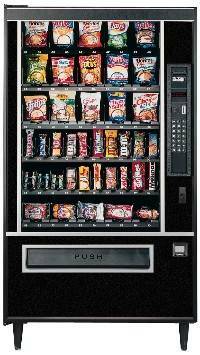 I suppose exercise happens in the walk between buildings, but is it worth jamming the Walther snack machine? Someone else said it provides an excuse to go to Krispy Kreme. I guess that’s also plausible, considering its proximity to the south side of campus. With a heavy sigh, I tucked my dollars and change into my pocket and headed back to the study room. I had to admit, Krispy Kreme sounded mighty tempting.